BREAKING GROUND AT THE NEW SITE! 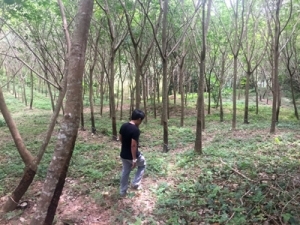 The newly acquired 16 rai (6.5 acre) site at Ban Ton Sae was previously used as a rubber tree plantation, but it also has palms that are harvested for palm oil as well as natural durian and other fruit trees. There are three large man-made ponds at the site, which were used for irrigation and form a lovely feature of the surroundings. 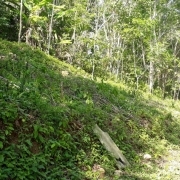 The site has challenging sloped land and quite undulating surfaces. 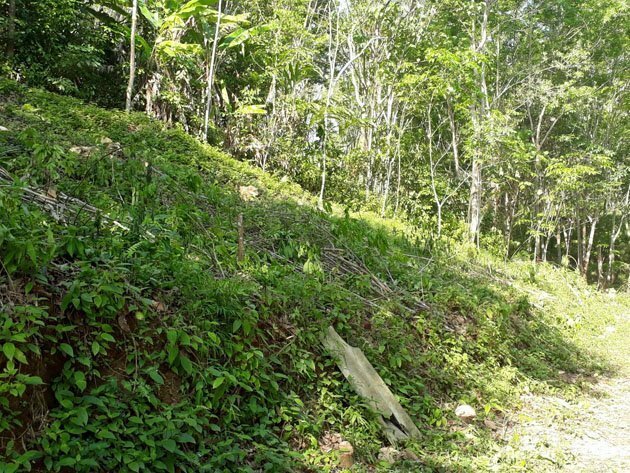 There are only three areas on the site where the ground can be described as flat, which makes the planning process very interesting as we have to be creative with our ideas for the new terrain. elephants. 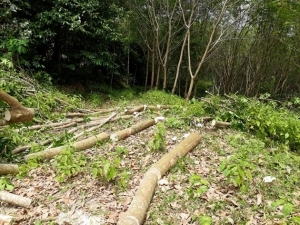 People from the local community are being employed to cut down the rubber trees and remove them from the site. 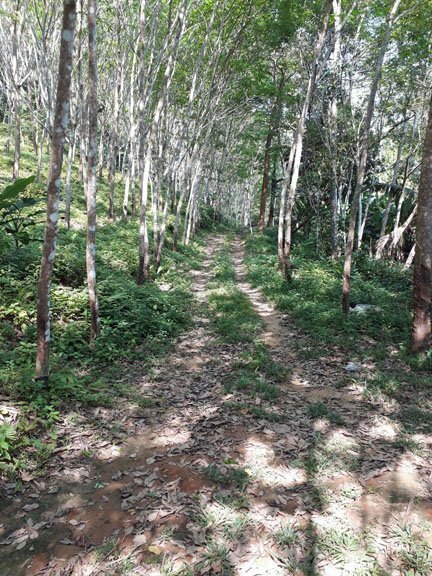 The timber will be sold to generate funds to help pay for the conversion of the land to a more ecofriendly system that will include planting the most appropriate flora for elephants to enjoy in a natural environment. 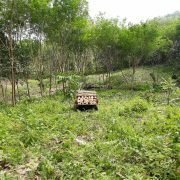 Here you can see photos of the new site just as we started to cut down the rubber trees in February 2018 – this is the first stage of recreating a perfect and ecofriendly environment for our future family of elephants. To help us, please click here. https://southernthailandelephants.org/wp-content/uploads/2018/05/blog-1.2.jpg 473 630 AdminA https://southernthailandelephants.org/wp-content/uploads/2018/03/stef-logo1-180x180.png AdminA2018-02-04 14:56:492018-06-04 10:46:45BREAKING GROUND AT THE NEW SITE!